"Jeremy made buying our first RV a very comfortable & great experience...Whole process from start to finish was completely flawless!" "...drove nearly 1200 miles to buy here. Extremely good prices & very honest. I would do the drive again just to deal here." "If we ever need a used car, Jeremy will be the first person we call...His inventory is comprised only of nice vehicles." "Top of the line service, Jeremy is an extremely nice guy. You will not leave disappointed, Highly recommend doing business with Jeremy & his staff." 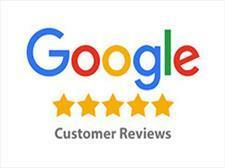 "Great service great people, honest and reliable." "Customer service was top notch. We got a very fair deal on our camper. We will do busy with Jeremy & Select Auto again." "Just bought a camper trailer; next time I'm looking to buy a vehicle, I plan to come back. Highly recommend." "...Great product and great service means you can't go wrong with the services you get at Select Auto Sales!" "Jeremy was absolutely amazing to work with. Answered every question even if it meant walking out to the trailer to get the info again & again."